Afshin Doust is a seasoned entrepreneur with professional experience in finance, sales, business consulting and strategic management with a keen interest in assembling teams to resolve business challenges. 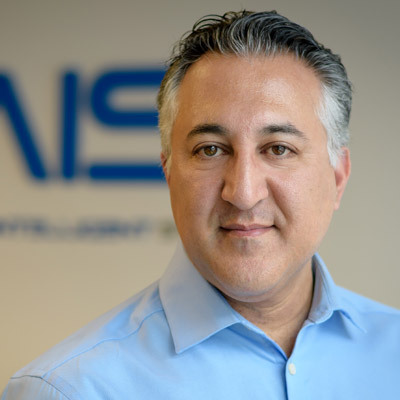 Afshin took the role of CEO at AIS in 2016, with the goal to lead the team towards the vision of creating innovations in autonomous robotic solutions for a wide range of applications. Prior to AIS, Afshin was actively advising several businesses, held a business development position with Xerox, and served as Regional Sales and Relationship Manager with HSBC. A contributor to Forbes Technology Council, Afshin is a thought leader in the robotics industry, and is inspired by people, numbers and business challenges. He has been known to create success by empowering and supporting people to achieve their goals.